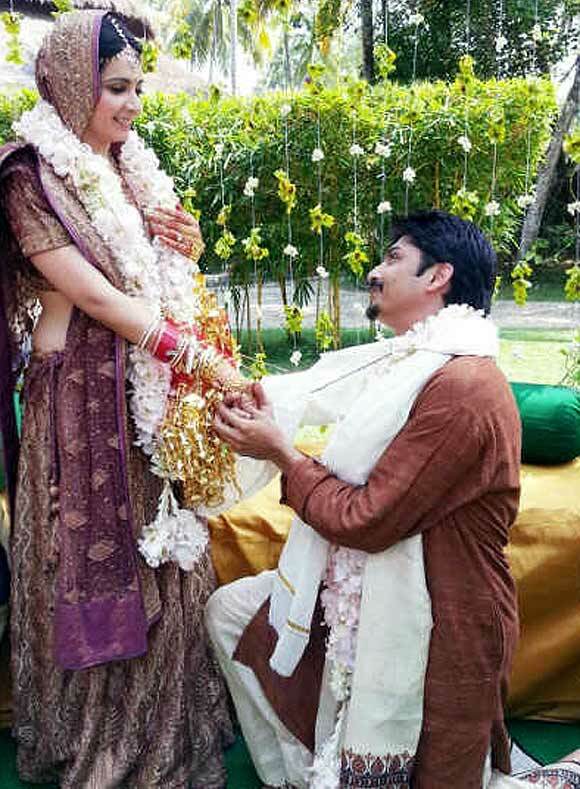 Model and television show host Shonali Nagrani, who was last seen in the fifth season of reality show Bigg Boss, recently tied the knot with longtime beau Shiraz Bhattacharya at a Kerala resort. The model, who has also appeared in Khatron Ke Khiladi along side fellow model Carol Gracias and Mandira Bedi, posed for pictures with Shiraz. The model, who won the Miss India International pagaent in 2003, posted this picture on her Twitter account and tweeted, "@shiraz61174 proposal on the mandap. It was the sweetest moment of my life." Shiraz, who paid her a visit during her stay in the Bigg Boss house, is a drummer for Pentagram, a popular Mumbai-based band fronted by musician Vishal Dadlani. Vishal, of course, was one of the guests at the wedding. 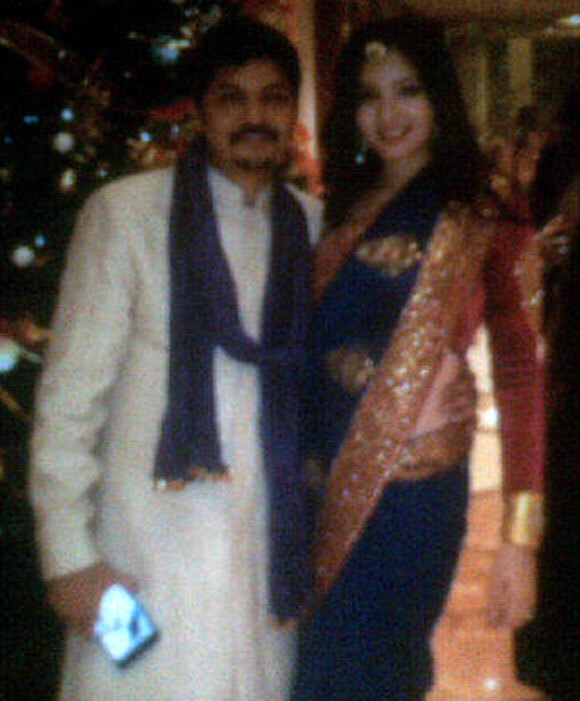 Model Pia Trivedi, a close friend of the couple, was among the many friends who attended the destination wedding. 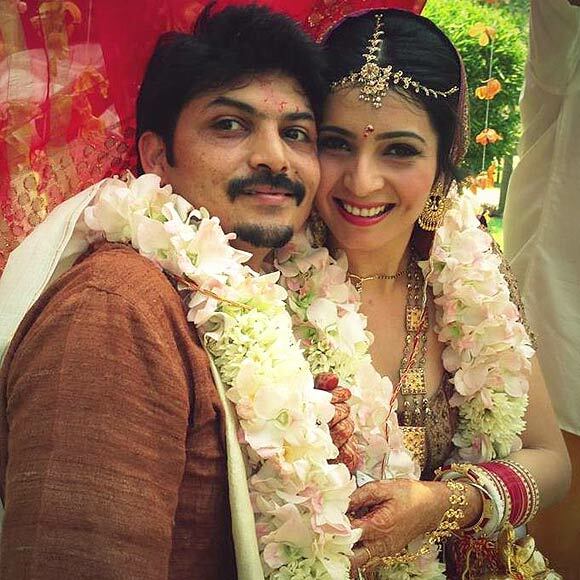 She later posted a picture of the couple, "Congratulations mr & mrs Bhattacharya!" Mandira Bedi and husband Raj Kaushal, Shveta Salve, Shriya Saran and former Bigg Boss housemate Niketan Madhok were among the guests. 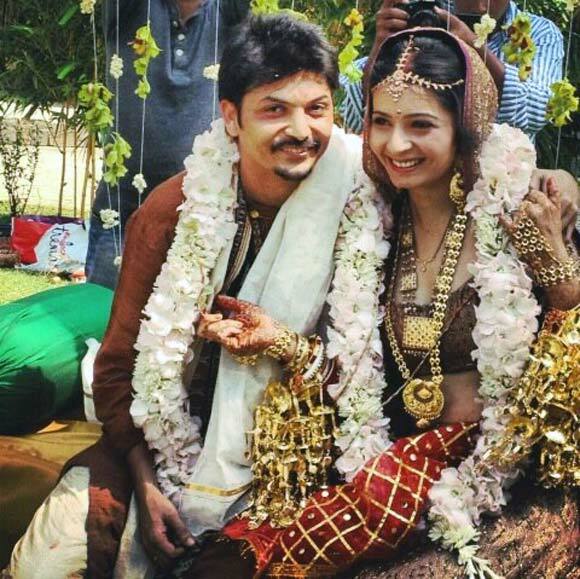 The radiant bride wore a colourful lehenga, had a lavish mehendi ceremony in Kerala too. She tweeted, "Thank you @manaliajagtap for giving me such a stunning ensemble for my wedding." 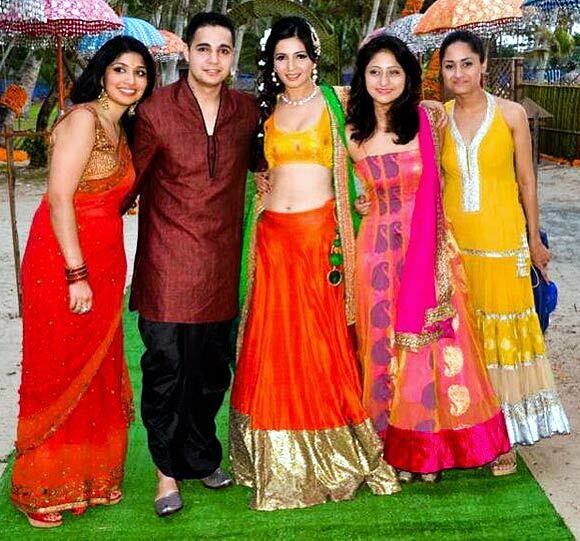 The model also posted a picture with her siblings and tweetd, "Here's another one with my brother Karan and my beautiful sisters." The newly weds later changed into other outfits, presumably for a reception party.